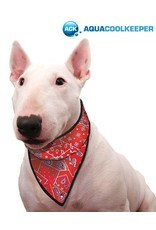 For the warmer days of the year, it is a good idea to cool off your dog. 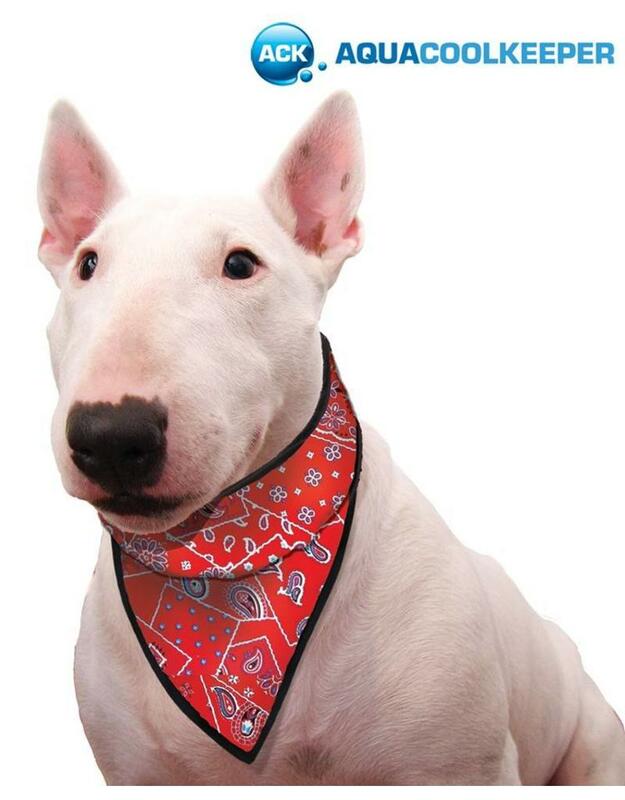 This cooling pet bandana cools the neck of your dog for a long period of time, and has a cheerful red print. This product works with a cooling hydroquartz, that you active to put it into water for maximum 30 seconds.